lesley stowe raincoast crisps® are the original artisan crisp that are still made the same way today as when Lesley Stowe first created them in 1998 – crafted with care in small batches with the finest quality, visually appealing, familiar ingredients. 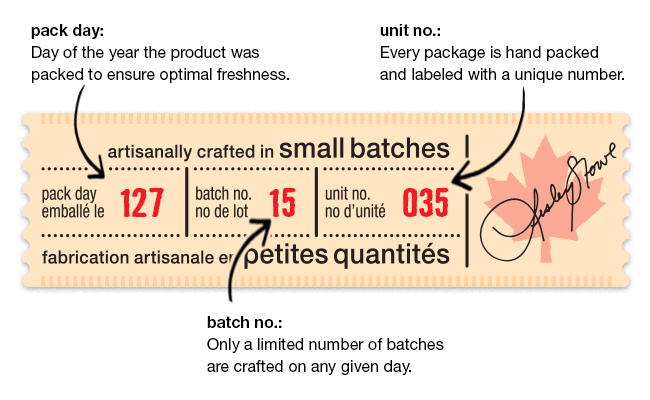 Proudly crafted in Canada for 20 years, we’ve continuously refined the details to deliver authentic artisanal foods. We bake everything from scratch with care because we love making and sharing delicious food that you will be just as proud to share with your own family and friends. Our focus on selecting the perfect ingredients is matched by our attention to detail, every step of the way, in creating every crisp. We know quality is top of mind with food lovers – and our quality has stood the test of time since day one. We’re so serious about the quality of our products that we hand pack every box and include a small batch label of authenticity on every package. It is a reminder of the care we put into everything we do. Our small batch, hand-crafted lesley stowe raincoast crisps® truly shine when topped with creativity – your favourite dip, cheese or antipasto. Explore your own endless number of combinations and pairings, whether you are nibbling them on your own or serving them at your next get-together. Go ahead and discover the day and batch that are an important part of the story behind your lesley stowe product!